It may be cold but now is the official time to start planning to install a swimming pool. If you’re looking to make a splash, selecting a square or rectangular-shaped inground pool is the way to go, Statewide Pools’s Pagey Iqbal says. “Above ground pools are ugly,” he says. Mr Iqbal says fibreglass pools are a more popular option then concrete. “They’re a little bit cheaper and you can change the colour,” he says. “Concrete is also colder and people don’t like that. “Fibreglass is easier to install as well. Start planning the installation of your new swimming pool! 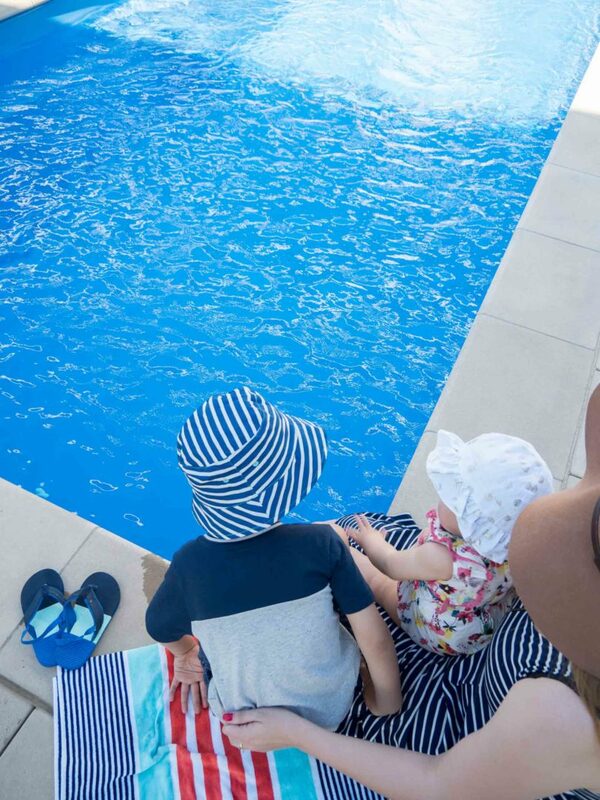 Australian Outdoor Living pool division general manager Michael Robinson agrees that older-style kidney pools should be avoided. “What we’re finding is the straight lines continue to be very popular at the moment,” he says. Mr Robinson says there is a trend is for fibreglass pools, most of which now come with a child safety ledge. “It’s down about 60cm and just sticks out enough that the kids can put their feet on it to get out if they’re tired,” he says. Mr Robinson says plunge and lap pools are growing in popularity because new homes have less space but people still want something for recreation and exercise. “We’re selling a lot more of the smaller designs and putting in swim jets so people can exercise, and it fits even in a courtyard,” he says. Swimming Pool and Spa Association state manager Fred Frede agrees that pools have adapted to meet the change in people’s lifestyles and the size of their properties. “The style and type of pool that you have is only limited by your imagination,” he says. Mr Frede says the most important thing to remember is that children will immediately jump into nearly any body of water. “The safety side of things has got to be paramount,” he says.